Do Pets and Clean Homes Go Together? Many people wonder if it’s genuinely possible to maintain a clean house when you have pets around. While it’s likely you won’t have to clean up after fish all the time, having a dog or a cat is certainly something that troubles homeowners who would rather not have fur strewn across floors and carpets. We’re certainly not going to get rid of our animals as a result of this dilemma, although can be forgiven for feeling that way on occasion if we constantly have to clean up after our animals at a noticeably troublesome rate. So what exactly can you do to prevent your animals from affecting the cleanliness of your home? Your pets are always going to leave fur lying around as well as a dander, while there’s also the chance of a potential “accident”. The first thing you need to know when adopting a pet is that you are probably going to have to commit more time to your cleaning schedule. Let’s look at dogs for starters. There are some breeds of dog that shed quite a lot of hair, such as border collies, while Schnauzers and Labradors have smoother, shorter fur and thus create less of a mess with their fur. In most cases, the dog breeds that shed their fur do it twice a year, so you can keep note of how often it occurs this way. When we notice that dogs are leaving fur behind, we tend to grab the vacuum cleaner instantaneously to get rid of it. Whilst the vacuum is certainly an effective way of getting rid of dog fur, too much and you can end up blocking the vacuum. Try and moderate your use of the vacuum when cleaning a home with pets and inspect the vacuum every now and then for blockages. In truth, you can minimise the amount of work you need to do by focusing more on your dog instead of the cleaning up afterwards. Proper grooming is an excellent way of keeping on top of your dogs shed hair and any vet would suggest that you groom your pet a few times a week. You can collect any loose hair on the brush and prevent it from reaching the floor. With cats, grooming is actually quite important. They tend to look after themselves a lot more than dogs. However, cats can suffer from certain health problems as a result of their hair. Hairballs and constipation are commonly associated with cats that look after themselves instead of their owner grooming them. You can prevent the risk of hair building up on floors and carpets even more by making sure you brush your pet outside. It’s not likely that you’ll be forced to groom your pet indoors at any time due to weather conditions, so you should be able to do this all year round. There are also a range of differing tools that are best suited to specific breeds of dog or cat that make the grooming process more efficient. You can learn about these grooming tools from your vet. 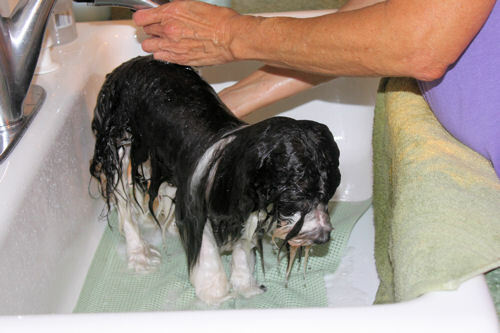 A lot of pet owners wonder if it’s a good idea to bathe their dogs or cats at all to assist the grooming process. Cats certainly don’t need to be bathed as they tend to wash themselves, whereas dogs need the odd bath to make sure there isn’t any dirt in their fur. However, dogs should only be bathed once a month at most as you can interfere with the natural oils produced by the skin otherwise. Some cats may need bathing on occasion if they are old or incapable cleaning themselves. The next thing to consider is the number of pets you have in your household. 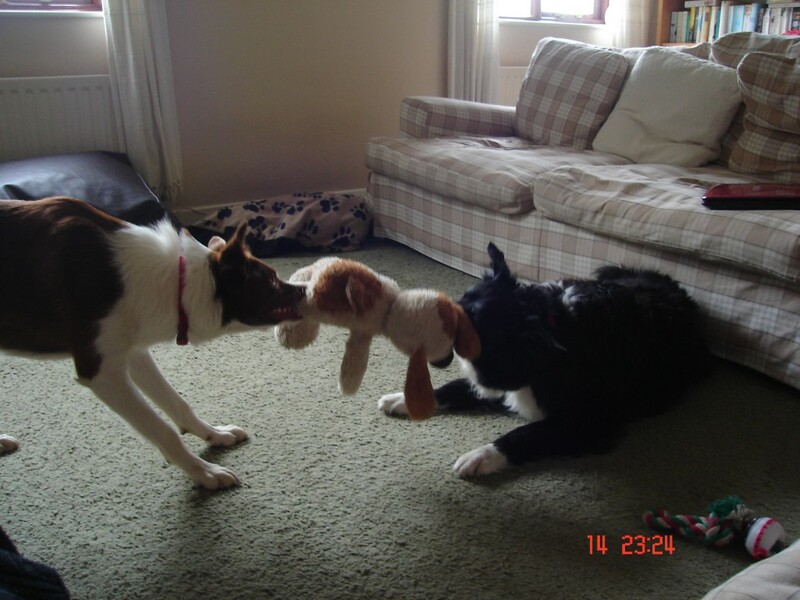 If there are a number of dogs or cats in one property, the amount of fur you have to deal with will increase. What’s more, having certain breeds with longer coats, such as Persian cats or Husky’s, will mean that fur will build up much faster throughout the home. If you fit one of these categories, you should probably check your air filters every now and then depending on the amount of hair your pets shed. If you’re finding the hair-cleaning process too much of an issue, there are alternatives to simply adjusting your approach to cleaning. You can change the layout of your property entirely to suit your cleaning regime. This could incorporate taking up your carpets and replacing them with wooden flooring (to stop dander from clinging to fabrics and causing allergic reactions), switching upholstery to leather and introducing a room for the dogs or cats to sleep in regularly. So there you have it. If you take these helpful cleaning tips and guidelines on board when looking after your animals, you’ll probably find that having a cat or a dog really isn’t as demanding as you might think. If we’re going to provide our pets with a new home, we need to make sure we’re looking out for them as much as our own belongings, so the biggest tip of all would be to make sure you’re prepared to make any changes the day you decide having a new furry friend in your life is necessary. Alana Burton has a young family and has 2 cats and is aware of the best ways to keep a home clean when there are children plus pets to consider. As a writer she covers relevant issues for Apple Clean, carpet, curtain and upholstery cleaners in the south-east. This article was provided by Island Blogging. Solar Energy – Is it the Answer to Our Potential Energy Crisis?